Leslie Jackson received her BS in Psychology from University of Louisiana Lafayette in 2008. 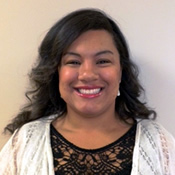 Leslie joined the IDRP in 2010 as a Research Coordinator and has been doing an outstanding job answering the phones, answering participant questions, and scheduling the IDRP participants for over 5 years. Dr Matt Calamia received his BS in Psychology from Louisiana State University (LSU) and his PhD in Clinical Psychology from the University of Iowa. 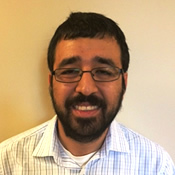 After completing his Clinical Internship at the University of Illinois at Chicago, he returned home to Baton Rouge and joined the Psychology Department at LSU as an Assistant Professor. His research interests with the IDRP are broadly within neuropsychological assessment, including the development and refinement of neuropsychological measures, as well as factors associated with changes in test performance over time. 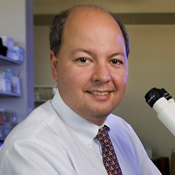 Dr Calamia is an adjunct faculty member of the Pennington Biomedical Research Center. 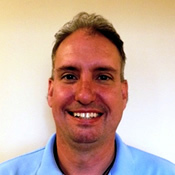 Rob Brouillette has been Manager of the IDRP since 2009. He currently manages the day-to-day operations of all IDRP studies and serves as rater/recruiter for IDRP Clinical Trials. Rob holds a M.S. degree from Northeast Louisiana University and has over 23 years of clinical/research experience. 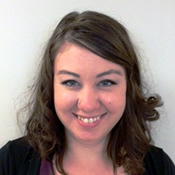 Heather Foil has been a Research Associate with IDRP since 2009. 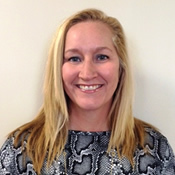 She has over 11 years of experience in neuropsychological assessment. She currently serves as a psychometric rater on all IDRP Clinical Trials. Heather holds a B.S. in Psychology and Sociology from LSU and is currently pursuing a Master of Social Work from LSU. 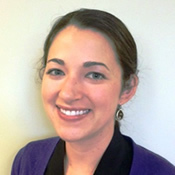 Aimee Stewart is the Project Coordinator for LABrainS and supervises all research associates of IDRP. Aimee also serves as Rater for multiple pilot and clinical trials. She holds a B.S. in Psychology from LSU and a M.S. in Clinical Psychology from the University of Texas at Tyler, with a specialty in Neuropsychology. She has over 6 years of experience in neuropsychological assessment and has worked with diverse populations in both clinical and research settings. Dr. Kirsten Schwehm earned her MA and PhD from the University of Alabama at Birmingham in Clinical (Medical) Psychology. Her dissertation research with the UAB Alzheimer’s Disease Center in 1994 and 1995 marked the beginning of her career-long focus on evaluating the cognitive and behavioral aspects of dementia. In addition to her work as adjunct clinical faculty with the Pennington Institute for Dementia Research and Prevention, Dr. Schwehm works in private practice as a board-certified clinical neuropsychologist with the Jefferson Neurobehavioral Group. 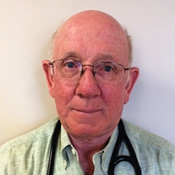 Dr William P Gahan is a Board Certified Geriatrician. He earned his Bachelor degree from Washington University in St Louis Missouri and his MD from the University of Illinois. Dr Gahan is the Medical Investigator for all IDRP studies and has a research interest in blood pressure and polypharmacy as related to the elderly. He is an adjunct faculty member of the Pennington Biomedical Research Center. 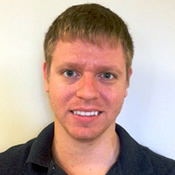 Scott Roye is a first year doctoral candidate in the Clinical Psychology program at LSU. He has five years of clinical research experience. Scott holds a B.A. in psychology from Emory University and an M.A. in psychology from Pepperdine University. 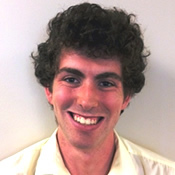 John Bernstein obtained a BA in Psychology and a BS in Brain & Cognitive Sciences from the University of Rochester in 2015, and is currently pursuing a PhD in clinical psychology at LSU. He has experience working with a variety of populations in both research and clinical contexts, including traumatic brain injury, schizophrenia, bipolar disorder, depression, autism, and dementia. John sees LABrainS and JLDS participants at the IDRP and will be working on the elderly driving project within the IDRP. Dr Jeffrey N Keller is the Principle Investigator of all IDRP studies. Dr Keller is the Founder and Director of the IDRP. He received his BS and PhD from the University of Kentucky. Dr Keller has an interest in clinical work focused on finding treatments for Mild Cognitive Impairment and Alzheimer’s disease, and the development of evidence based dementia caregiver programs. In addition to the IDRP work Dr Keller develops technologies for use in geriatric care manager and senior living communities, as well as the designing and development of dementia focused senior living communities.